Step out of Melbourne with an excursion to Werribee Open Range Zoo in Werribee--about 42 minutes away. There's still lots to do: admire the natural beauty at Royal Botanic Gardens, examine the collection at Melbourne Museum, get to know the resident critters at Melbourne Zoo, and take a memorable tour with Tours. To find more things to do, reviews, other places to visit, and tourist information, refer to the Melbourne trip itinerary planning tool . New Delhi, India to Melbourne is an approximately 16-hour flight. You can also do a combination of train and flight. The time zone changes from India Standard Time to Australian Eastern Standard Time (Victoria), which is usually a 4 hour difference. Traveling from New Delhi in May, expect Melbourne to be much colder, temps between 20°C and 9°C. Wrap up your sightseeing on the 29th (Wed) early enough to travel to Sydney. Sydney is known for nightlife, trails, beaches, parks, and museums. 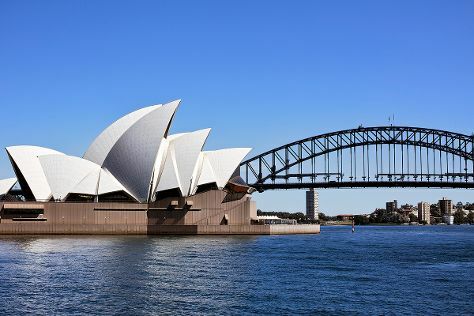 Your plan includes some of its best attractions: kick back and relax at Bondi Beach, catch a live performance at Sydney Opera House, take in the views from Sydney Harbour Bridge, and examine the collection at Australian National Maritime Museum. For traveler tips, reviews, and other tourist information, go to the Sydney holiday maker tool . Traveling by flight from Melbourne to Sydney takes 3.5 hours. Alternatively, you can do a combination of shuttle and flight; or drive. Traveling from Melbourne in May, expect Sydney to be somewhat warmer, temps between 24°C and 14°C. Finish up your sightseeing early on the 2nd (Sun) so you can travel to Gold Coast. Kick off your visit on the 3rd (Mon): meet the residents at Sea World Theme Park. 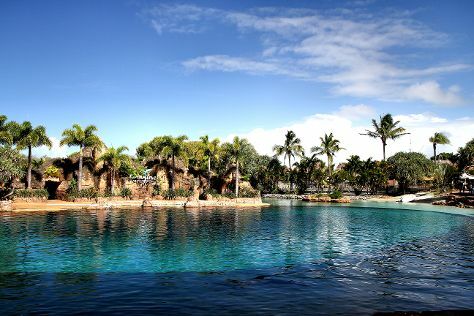 Here are some ideas for day two: find something for the whole family at Warner Bros. Movie World, then enjoy the sand and surf at Surfers Paradise Beach, and then find something for the whole family at Infinity Attraction. For reviews, other places to visit, traveler tips, and more tourist information, use the Gold Coast route planner. Fly from Sydney to Gold Coast in 3.5 hours. Alternatively, you can do a combination of flight and train; or drive. June in Gold Coast sees daily highs of 24°C and lows of 13°C at night. Finish up your sightseeing early on the 4th (Tue) so you can travel to Cairns. Explore the numerous day-trip ideas around Cairns: Hartley's Crocodile Adventures (in Palm Cove) and Port Douglas (Safaris & Wildlife Habitat Port Douglas). Spend the 5th (Wed) among aquatic life with a scuba or snorkeling tour. There's still lots to do: hike along Esplanade Boardwalk. To find maps, reviews, ratings, and tourist information, refer to the Cairns trip planner. You can fly from Gold Coast to Cairns in 5.5 hours. Other options are to do a combination of train and flight; or drive. Plan for somewhat warmer temperatures traveling from Gold Coast in June, with highs in Cairns at 30°C and lows at 22°C. Wrap up your sightseeing by early afternoon on the 8th (Sat) to allow enough time to travel back home.